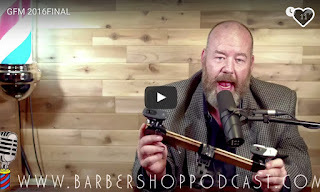 Upcoming Live-to-Stream Appearance: The Legendary Barber Shop Podcast, November 23rd! Brenda will be the featured performer on Episode #209 of The Barber Shop Podcast on November 23rd. The weekly webcast is the creation of Hamilton music lover Kevin Barber, and is now into its third year of continuous weekly broadcasts. The Barber Shop Podcast is legendary. Brenda is looking forward to the opportunity to be able to share her music with a wider audience, especially in the uniquely interactive setting of a live webcast, where audience members can participate on live chat during the show. Wednesday, November 23, 8:30PM - 9:30PM (approximate start/finish times).